Manchester United manager Louis van Gaal hailed his players' team spirit, after the club came back from a goal down to hold West Ham to a 1-1 draw at Old Trafford in an FA Cup quarterfinal clash on Sunday, 13 March. United went behind in the 68th minute after a stunning freekick from Dimitri Payet. However, Anthony Martial scored from close range late in the game to earn United a replay at Upton Park. Despite United struggling to break down a resolute West Ham backline, Van Gaal, however, put up a brave face in his post-match press conference, and praised his players for coming back from a goal down. "For the first 15 minutes I think West Ham were the better team and they created a few chances, but after that we came back into the match. We have created chances and in the second half we were the better team. They scored out of a free-kick. 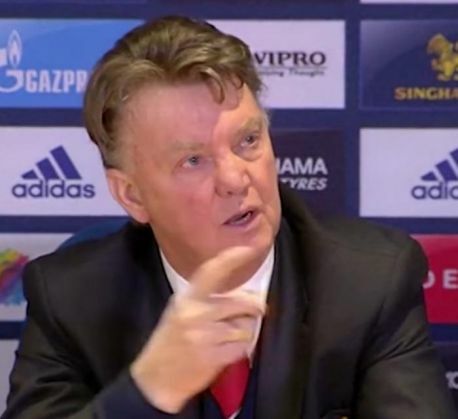 We were behind," Van Gaal said. "We have played against West Brom and lost, and Liverpool and lost this week, and when you come back from that I think it is amazing, and fantastic spirit in the team, in spite of a very nasty week. I am very proud of my players. We are still in three competitions," he added. Van Gaal also praised Bastian Schweinsteiger's contribution during the game after the veteran German midfielder came on as a substitute in the second half.